Lol - yes howay the lads - Honey Doo Crafts are at the Ross Papercraft Show in my home town Sunderland this Sunday. This first one was made using one of the deer from 'Dancer and Prancer' and the sentiment from 'Bold Bauble'. 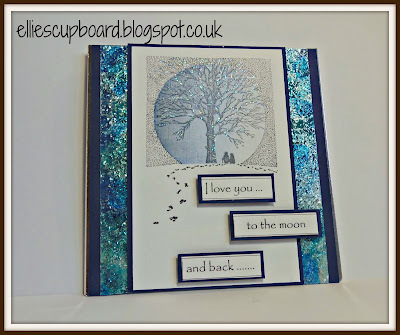 I coloured the background using my Panpastels and added some dies cut using Die-namics Campy Tree Line. Yes I know it says Dancer and Prancer but I really couldn't resist adding a red nose to make him Rudolph ! 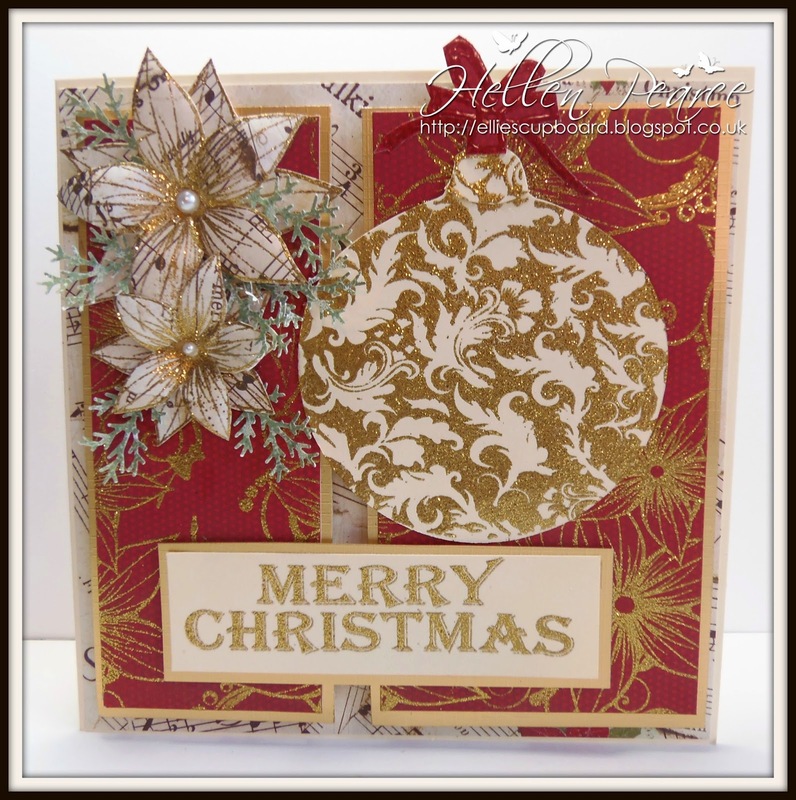 This is a more fussy design using 'Bold Bauble' and the flowers from 'Falling Flowers'. The red card is stamped randomly using Falling Flowers and the branches are a Martha Stewart punch. 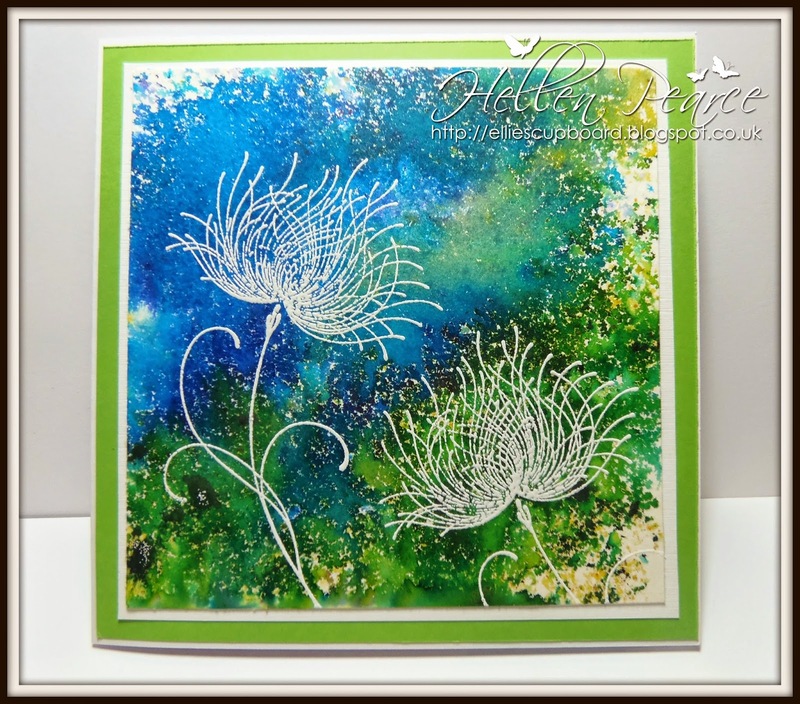 Honey Doo Crafts stamps are available from their website HERE . Two gorgeous vards Hellen, I especially love the first with Rudolph and the campy tree line dies. 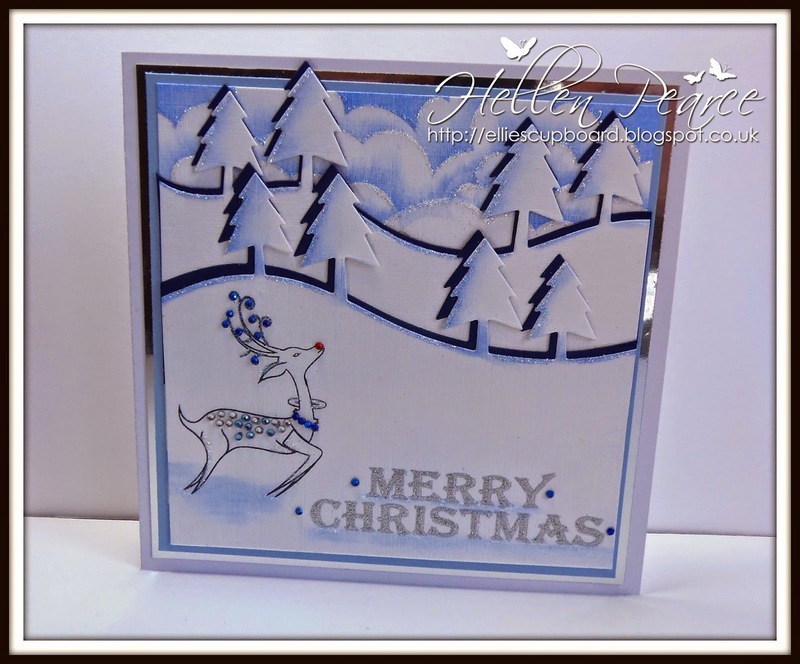 Super cards here Hellen.. Love Rudolf! ... I can see you are having great fun !